I’ve been thinking about story this year. Partly, because I’ve been struggling with selling digital products in a way that’s authentic to my brand. But also, because – as a fiction writer – I SHOULD be good at this stuff. 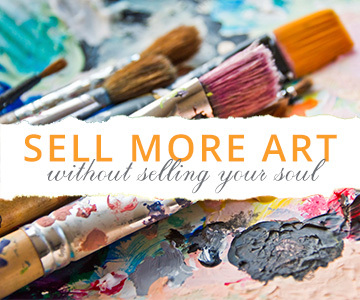 I always resisted telling stories about my art, because I wanted to art to stand for itself, but if you want people to buy into your art, whether with their support or wallets, you need to pitch them the benefits. Real art matters, but you can make your work matter more to people by telling story, for several reasons. First of all, if they don’t already know, like and trust you, they’re not even going to listen. You can’t tell them about your awesome thing until they’re paying attention. So story can be a way to hook them. Then, while they’re distracted with story, you can build in like and trust, so that when you finally display your work, they’re already in a positive, receptive frame of mind. This is the power of story. If I want to really help people, I realized, it’s not just about information. It’s about leading people on an emotional journey that gets them to want to take action (otherwise, they won’t do the work or spend enough time learning the information I share with them). 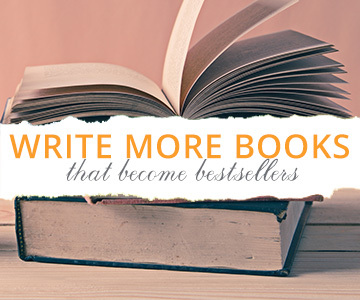 But what I learned this year is, you need story EVEN if you aren’t selling anything. I make cool stuff that makes life easier for everyone. But they aren’t fans. They’re internet acquaintances. To make fans I need story. AND I have to get them to SEE the story. Which means, I have to lead with story. Personal anecdotes with heavy emotions are best. Go into great detail, make it matter. ALSO introduce things about you and your brand so people associate you with the right things. I don’t usually do all those things, but I’m learning: today someone sent an email saying “I already know the WHAT – I want the HOW!” I rewrote my emails recently and no I get daily emails from people thanking me for letting them be on my list. Think of 10 things you love, and 10 things you hate. Then try and match each with a specific anecdote or experience. See if you can play up an associations you want people to have when they think about you or your brand, by planting symbols or items (hopefully these will be true stories, but I think it’s OK to embellish a little). Remember you’re not just telling stories, you’re deliberately using interesting stories to get people to feel a certain way about your brand or business. According to Storytelling Made Easy, The number one reason people don’t buy from you is because they’re afraid. It’s my job to make them feel courageous and empowered. However, modern consumers are much savvier, at the movies recently, I started paying attention to how companies were using ads in their stories, sometimes with hilarious results. Big companies want to involve you as much as possible, by creating ads where YOU are the story – where you are the hero. In other words, they create relevance by making the protagonist into someone they can sympathize with. Try to count how many times they use the word “You” in this Oculus Go ad. Even though I could argue, travel adventure and tourism is more privilege than purpose – or perhaps precisely BECAUSE I could argue that – the advertisement thwarts potential guilt over geo-arbitrage by invoking a positive message about humanity. This one from Diet Coke is even better. It mentions a few funny things, but concludes, basically – who cares, it’s just a drink, you do you. In other words, who cares if using disposable containers destroys the world; or sugar substitutes are linked to cancer. Who cares if it’s unhealthy and bad for the world. What’s the big deal? Relax and enjoy the moment. Things start getting a little more manipulative with these tech commercials: this one from Echo Spot is called “Be Together More.” The benefit of an Echo Spot is not to ask questions or buy more crap, but to connect your family. It also probably plays into any guilt you have about family members you haven’t talked with in awhile. Emotional guilt + positive benefit = excuse to buy this thing for your family, because “I think it’s cool” isn’t enough of a reason. Which seems almost surreal, but it’s because they can’t really just talk about how awesome their products are anymore. People don’t really buy based on features… we buy based on how things make use feel and what they say about our identity. Also, this ad is probably targeted towards parents, which Samsung may have identified as its largest market. So, identify your market (parents) figure out what they really want (family togetherness) – show them THAT. They can’t actually buy that from you, but with that in mind, you can find a way to communicate the benefits of your product in a way that solves the core emotional lack. Especially at a movie theater, a good ad has to not look like an ad. But even things that are not ADS can be good for your branding. Here’s an example from Petsmart. This is actually a two year old Youtube video that only has 800K views. But more recently, a page called “Animals are Happiness” shared the video, and it now has over 3 million views on Facebook. I’m not sure, but that’s about the best freaking piece of content PetSmart could have possibly made. I’m not saying they created an anonymous Facebook page to share a video; I’m not saying the video is staged. This is probably just an example of a few really kind people helping someone out. PetSmart SHOULD be looking out for stories like that to use… on the other hand, the second they try to USE it for corporate gain, it becomes suspect, so if they were smart, they’d find ways of indirectly getting it in front of people, without it actually being an ad (not selling anything, not because of a sale or promotion… just great content). How to make this work for you? You need to do two things: you need to make people SEE and CARE about your work, and hopefully then get them to take action (like share, sign up to your list, or buy something). You can tell a story of transformation to get them through fear. You can also tell stories of vulnerability to create sympathy. Recently I shared a story about spilling salad dressing all over my favorite shirt at Starbucks. It’s a real story. It’s stupid and trivial. I’m a grown up, why do I even have a favorite shirt? But it makes me relatable and human. It gets people to like and trust me. I’m not good at being vulnerable, and I’ve spent years hiding behind my content. But before you help people, you have to get them to LISTEN. While you’ve got their attention with story, you can by building credibility and sympathy, so that they’ll trust and like you. But start with conflict. Find the emotion. It should make you cringe and squeeze your heart. See if you can get them to feel something. Adrenaline. Fear. Excitement. Make them hold their breath. Or just melt them with cuteness. CURATE Your content. Don’t make things up, but look for entertaining stories that represent your brand values, while also making yourself human with vulnerability, and which you can also “interpret” into a valuable lesson for your audience. Then use the AIDA formula, which is similar to the one I shared earlier. Want to split a castle with me? 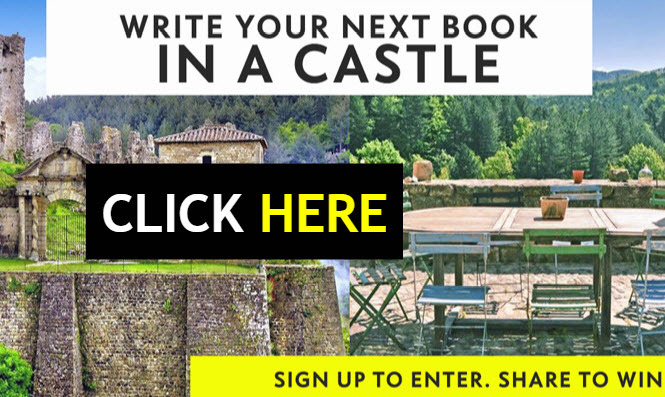 At least once a year I spend a few weeks at an exclusive writing retreat in a European castle... and one lucky author gets a free spot. Sign up to win! Want to make a living doing what you love? 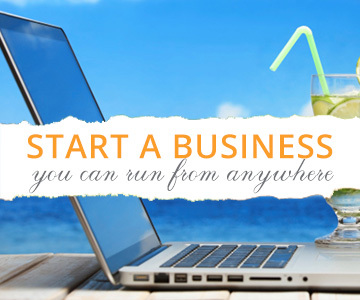 Join over 20,000 passionate creatives and turn your vision into a profitable business. My FREE manifesto and email series will help discover your source of genius and create work that matters, so you can make a living with your art or writing, quit your job and change the world. Click here to reserve your copy. 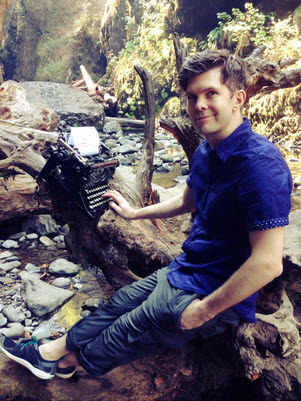 Derek Murphy is a book editor turned book designer with a Ph.D. in Literature. He's been featured on CNN and spoken at dozens of writing conferences around the world. These days he mostly writes young adult fantasy and science fiction, while helping authors write and publish bestselling books. 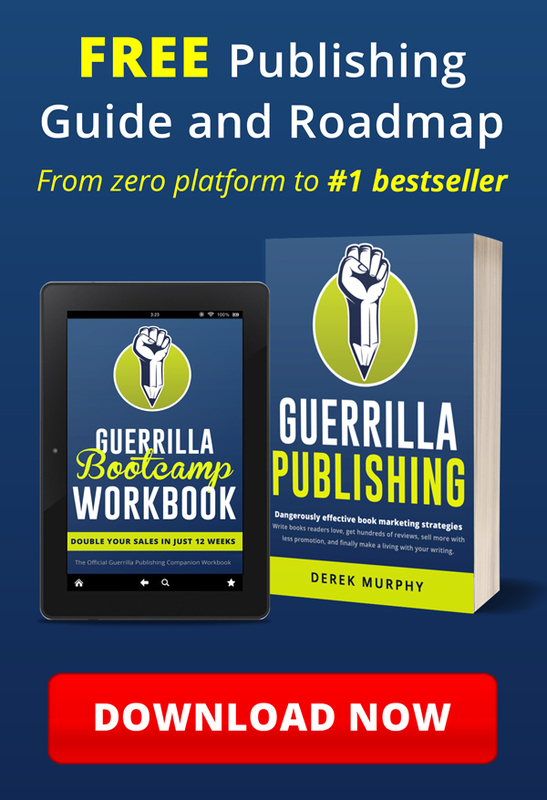 FREE GUIDE: Sell your work without selling out.